NEWaukee’s Night Market is a free, outdoor event showcasing a variety of local Milwaukee vendors, performers, and artists. Held monthly during the summer, the Night Market transforms the heart of downtown into an exciting fusion of all the city has to offer. If you want to be added to our Night Market vendor waitlist, submit an application. 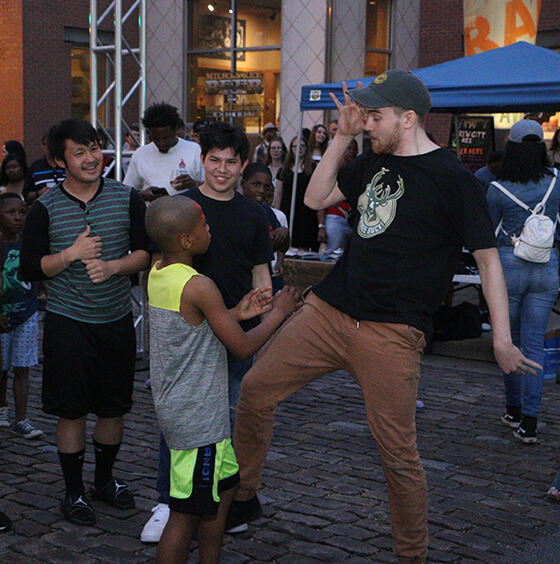 The goal of the Night Market is to provide a safe, fun and collaborative space for individuals of all ages and backgrounds to experience Milwaukee. By visiting, you invest in our local community and help reimagine what our downtown could be.